Do you find tinsel distracting? Tell the world with this Frank Costanza-approved ceramic travel mug from Seinfeld. 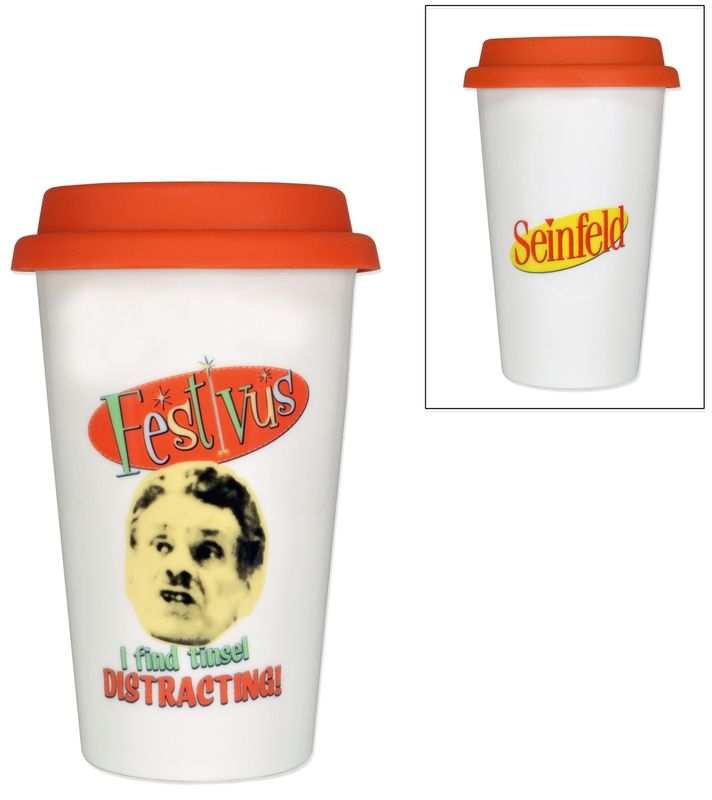 It fits most car cup holders, so your coffee will stay nice and hot on your way to the annual Festivus dinner. The sturdy, double-walled construction keeps drinks insulated, and the soft silicone top is easy to clean. Holds 12 ounces and features vibrant artwork. Dishwasher and microwave safe to 180˚F.